And since his re-election efforts are clearly more important than our national security, filmmakers were given access to classified information. This is all that Obama has to offer: he can read. The Labor Department paid out hundreds of thousands of dollars in federal stimulus funds to a public relations firm to run more than 100 commercials touting the Obama administration’s “green training” job efforts on Rachel Maddow’s and Keith Olbermann’s shows on MSNBC. Obama gets to choose the topics that local reporters are allowed to ask him about. Obama doesn’t deserve credit for killing bin Laden. Gay rights activist shoots Chick-fil-A guard. 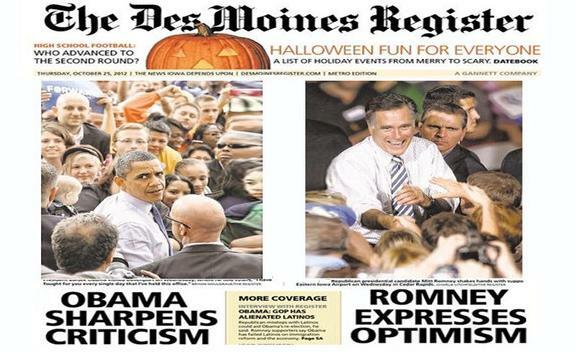 Obama/Biden’s campaign of anger and hate. Obama’s campaign is guilty of everything it’s falsely accused Romney of. VP Joe Biden doesn’t know what century it is. Joe Biden: bumbling, confused, and a heartbeat away from the presidency. Updated for a third time: Biden accuses Romney of voting to give “a $500 trillion dollar tax-cut to 120,000 families.” Note that the gross domestic product (GDP) of the United States is approximately $15 trillion. Uh, why is this necessary? After the Dept of Homeland Security purchased 450 million rounds of .40-caliber hollow point bullets, the National Weather Service also feels the need to buy large quantities of powerful ammunition.